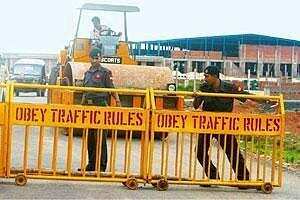 Kolkata: West Bengal chief minister Buddhadeb Bhattacharjee told his cabinet on Thursday that Tata Motors Ltd had indicated that it would not restart work at its proposed small car factory in Singur under police protection. “So, they (Tata Motors) are very likely going to leave," Nanda Gopal Bhattacharyya, minister for water investigation and development, quoted the chief minister as saying in the cabinet meeting. Two other ministers ‘Mint spoke to—Kshiti Goswami and Rezzak Mollah—confirmed that the chief minister had almost given up hope on a Tata factory in Singur. After the meeting, the cabinet issued a statement requesting Tata Motors not to pull the plug on the Singur factory where the auto maker had planned to manufacture the Nano, the world’s cheapest car. In the same statement, the ministers urged political parties and farmers opposing the land acquisition in Singur to accept the revised package and cooperate in wooing Tata Motors back. On 22 August, Tata Motors’ chairman Ratan Tata had said in Kolkata that his company would pull out of West Bengal despite having invested Rs1,500 crore in Singur if his workers continued to be attacked and intimidated by the locals. The company was forced to stop work at the factory because the Trinamool Congress, the state’s principal opposition party, laid siege to the project site in Singur. Earlier this month, governor Gopalkrishna Gandhi tried to broker peace and the government agreed to raise the compensation paid to farmers two years ago by 50%, but Trinamool Congress chief Mamata Banerjee rejected the proposal. She insisted that and be returned to the farmers from within the 997 acre project site. Meanwhile, Tata Motors insisted Thursday it would stick to its planned schedule for the high-profile rollout of the Nano, despite months of protests over a land dispute. “The Nano car will roll out during the last quarter of the calendar year between October and December as promised," a Tata Motors official said.